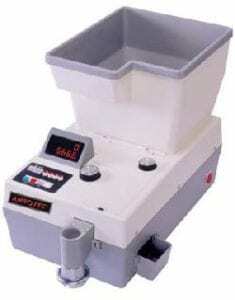 AMROTEC® has been offering most innovative, high-performance and impressive small to medium-duty Currency Discriminating counters to count, discriminate and authenticate US and Canadian Currencies and Coin processing Equipment (Coin Counters and packager, Coin Sorters) to count and sort coins to bags or coin rolls at the point of sales to back cash office medium volume processing need at various retail market segment, such as retail chains, super-market, grocery stores, car-wash, bar & restaurants and vending operations. Various models to choose from depending on your budget and need. 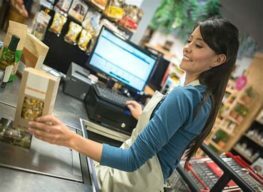 Our Medium-duty Currency discriminators and medium-grade coin & cash handling products are Certified by various certified agencies, such as FCC and CE labs and manufactured under highest quality. 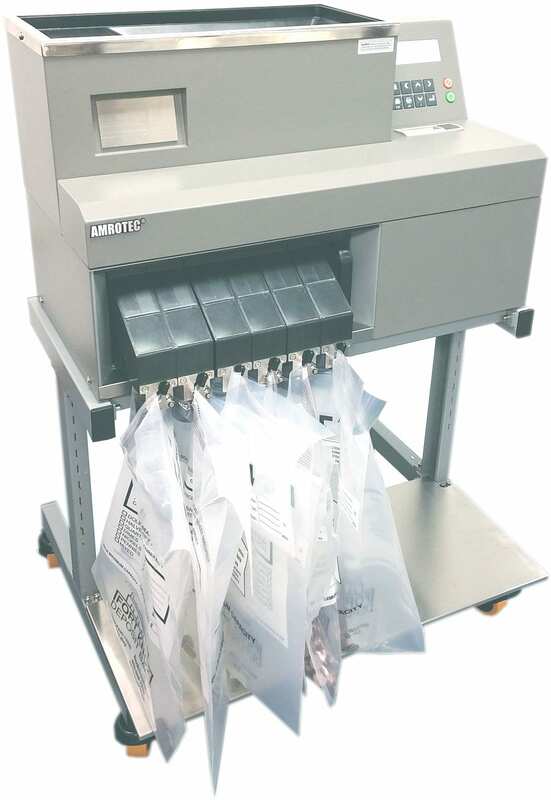 AMROTEC® XCount+ is an advanced, up-to-date and high-speed Single stacker Currency Discriminating Counter with capability of banknote recognition, value counting and suspect detection functions. It is equipped with 2.8″ Graphic LCD Display, and user-friendly functions necessary for low to medium volume tellers and retail cashiers to process their daily task – a potential replacement of High-cost brand name Piece Counters in the market place today.Our XCount+ model is equipped with various modes of counting operation, such as MIX, SORT, SINGLE, FACE, ORIENTATION and can be customized to keep only those are needed for customers for simplicity. XCount+ is constructed with compact and easy bill path access for jam removal and daily maintenance. Further, XCount+ includes a unique hand-held design with flexibility of movement from one location to another location. X-1 is one of the world’s most compact currency discriminators with a 50 bills dedicated half reject pocket for non-interrupted operation. It is equipped with Smart & most comprehensive user-friendly functions for front bank tellers and small-mid retail cashiers. 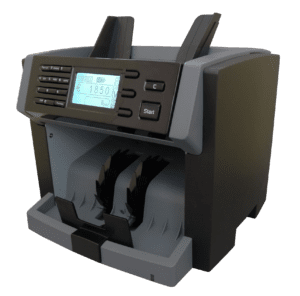 With an ergonomic design, 3.5″ large color Graphic LCD, symbolic user-interface and impressive bill rate recognition and suspect detection, the X-1 not only provides users trouble-free operation, but also allows uninterrupted counting with increase productivity that all customers desire. Our X-1 model is also equipped with various counting modes of operation, such as MIX, SORT, SINGLE, FACE, ORIENTATION and can be customized to keep only those are needed for customers for simplicity. X-1 also reduces operation noise by 10dB than competitors making it to be the quietest machine in the market since 2013! 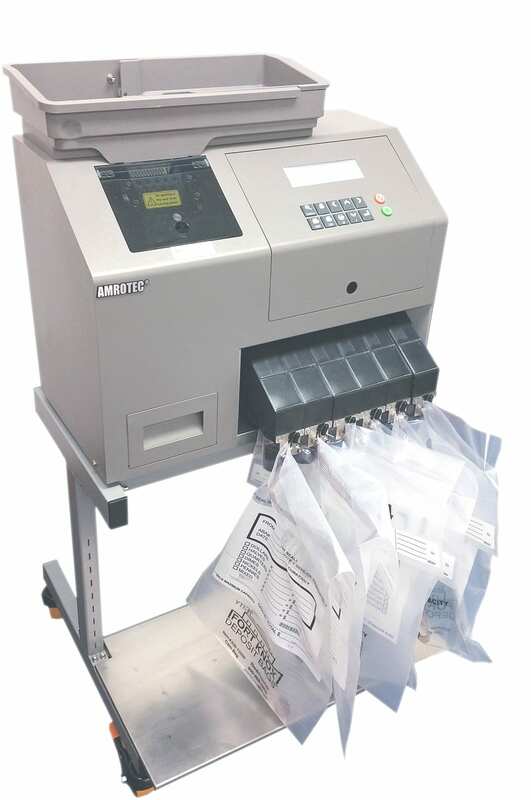 AMROTEC® electronic coin counters and packagers are the most innovative, fastest and advanced of it’s catagory – ranges from Portable and compact for small-scale to medium duty coin processing (CC-01 model) to medium duty coin processing (CC-03). 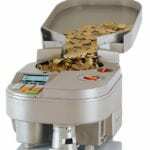 Besides counting of one denomination of coins each time, coin counters are also able to sort one denomination coins from mixture coins or package them by batch while sorting. Apply to all 6 denominating of US coins. 3″ Color LCD display (CC-Series) displays 2 lines of count and batching information – a latest innovation in this coin counter category. Other features include push button user-friendly keys control panel for counting and batching, batching upto 99999, adding, grand total and memory. 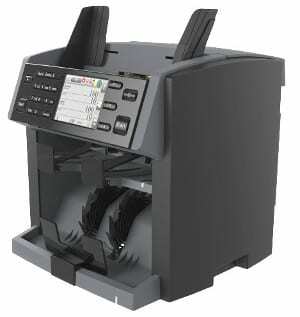 These latest CC-Series are the first coin counters in this catagory to be included with USB (software upgrade) and RS232 printer port – connectivity to an External printer to print count results. AMROTEC® YB-130 is the Fastest Heavy-Duty and High Capacity Electronic coin counter / sorter / packager available in world market today. It is mainly designed to handle large coin processing job at the financial, transport company, Casino or large retail outlet. Job includs coin counting, off-sorting, bagging and packaging of all 6 denominatin of US coins. 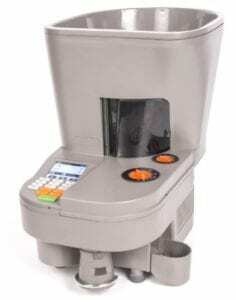 The most unique feature of YB-130 coin counter is the automatic Conveyor coin feeding belt which removes the possibility of overload of coins to the coin hopper and jamming. Other features include DUAL Display for counting and batching, user friendly operating panel, batching up to 9999, adding, grand total and memory. FCC certified. AMROTEC® S-500 is a High-Speed Coin Sorting Machine compromising of advanced Metal alloy sensing recognition and modern belt-driven sorting technology. With Built-in Large Hopper, S-500 is capable of handling heavy-duty coin processing job at financial institutions, gaming, Car-wash, Amusement park, transport industry and vending operations. This model is designed with 6 coin drawers to count and sort all US coins and one reject drawer. Featured with advanced foreign coin rejection feature, S-500 is capable of rejecting foreign coins, unspecified coins and certain debries to reject coin drawer. It displays and prints each denomination value and piece count as well as grand total. It also stores and prints counting results for each batch and provides day count. NOW, our S-500 is able to do sort coins into FULL-BAGs (i.e. 10,000 coins for 10c coin) according to guideline set up Federal Reserve Bank for Full-coin bags deposit. AMROTEC® Coin Sorter S-200 is one of the Best Rail Coin Sorter available in the Market and known for its metal alloy sensing recognition and foreign coin rejection capability. It counts and sorts all SIX US coins ($1, 50c, 25c, 10c, 5c, 1c) into SIX different trays or coin bags. It counts, displays, stores and prints the counting number, the value of each coin and the counting total – the total value of all coins. As standard, this model is featured with advanced foreign coin rejection technology and rejects foreign coins or unspecified coins into the reject coin tray or bag. S-200 is capable of handling light to medium-duty coin processing job at financial institutions, Car-wash, Amusement park, and vending operations.Mainly designed for USA market, but also can be configured to other international coins upon request. NOW, our S-200 is able to do sort coins into FULL-BAGs (i.e. 10,000 coins for 10c coin) according to guideline set up Federal Reserve Bank for Full-coin bags deposit.